This contemporary (modern) fishbone diagram is created for presentation purposes, minifying the amount of text to allow for clear visualization. It contains three color-separated subsets for better differentiations of the various stages or parts of a process. 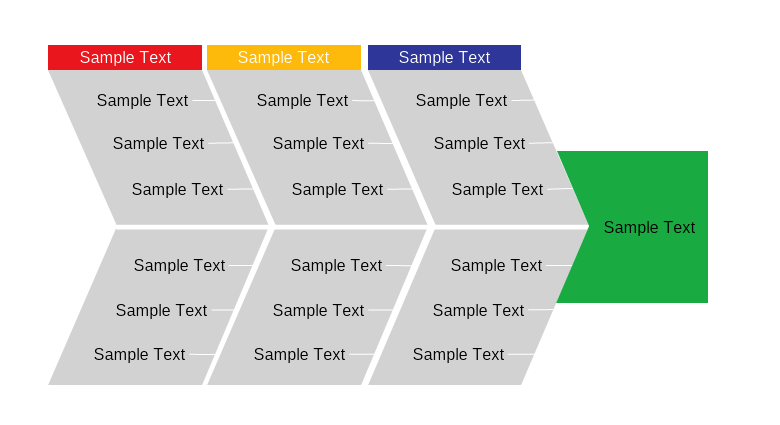 To edit this diagram template simply double click the text and start typing.